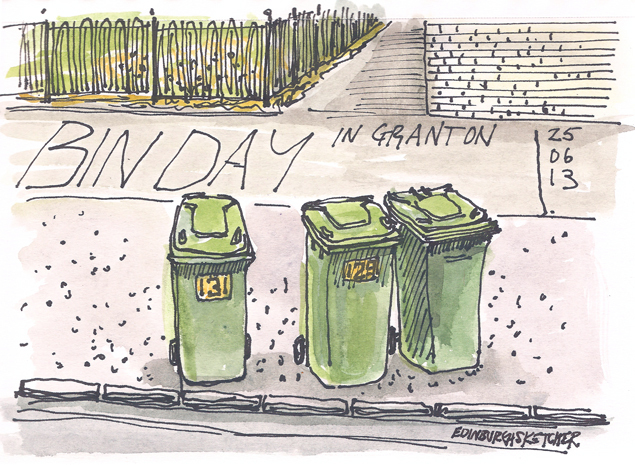 It’s bin day in Granton today and these green wheelie bins are literally littering the streets as I look from the bus into work. I’m glad I remembered to put ours out last night. My sketch is done in a black fineliner pen with a watercolour wash over the top.